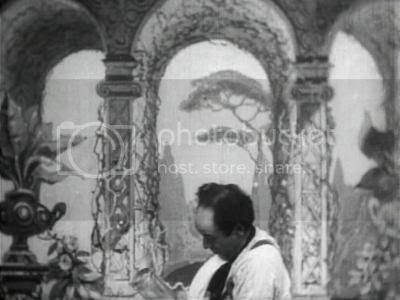 Another film by prolific early film maker RW Paul, the immobility of the film camera is used to the advantage of this film. 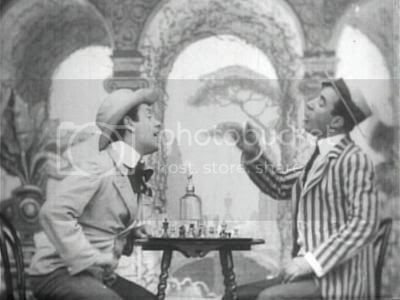 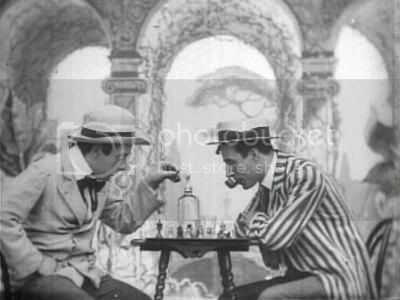 The film shows two men sat at a table playing chess, which gets more and more heated and an argument starts. 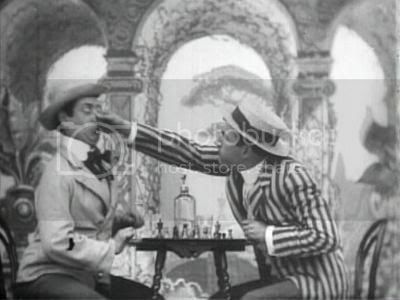 One man twists the other's nose, who in turn sprays liquid over him. 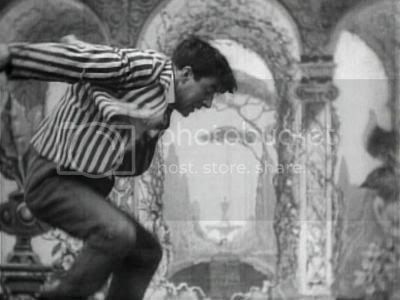 A full blown fight then starts, mainly out of shot, with only a few glimpses seen, ie a fist swinging over and over, a bottle being used as a weapon, one man standing up and jumping on his opponent, clothes flying through the air etc. 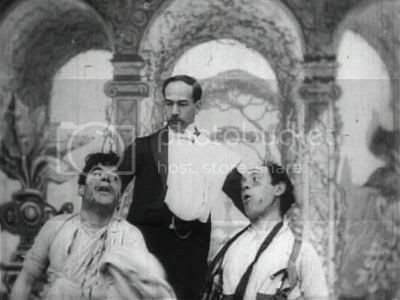 The fight is brought to a stop as the Waiter pulls them both up into shot again, both battered and bloody, but still arguing with each other.